The official start of summer is only a few days away. The warmer and longer have many looking to cool off with a couple of dips of ice cream. (Hot or cold, I am always ready for some ice cream!) For much of my childhood I pretty much stuck with the basics of vanilla, chocolate and strawberry. You might be surprised to know that with all the various and sundry flavors out there, vanilla, chocolate and strawberry still account for approximately 70% of ice cream sales . However, when I was in high school my eyes, or should I say my taste buds, were opened to the almost limitless combinations that can be made with the various flavors and toppings that can be found at an ice cream parlor. 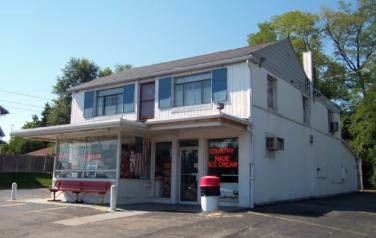 My horizons were widened when I began working at Sherer’s Ice Cream in Dayton, Ohio. (When it comes to dipping ice cream at my house, I still take the scoop and say, “Stand back, I’m a professional, let me handle this.” I soon learned the joy of flavors like root beer float, peppermint, strawberry cheesecake, eggnog, pumpkin, coffee and most of the other 36 flavors that were available. Around that same time Baskin Robbins came out with a couple of seasonal flavors I really liked, baseball nut and banana bunt – maybe I just liked them for the baseball references. Baseball Nut was vanilla ice cream swirled with a black raspberry ribbon and crunchy cashews. Banana Bunt was a banana flavor with peanuts if I recall correctly. However, even I had to draw the line somewhere and I drew it at rum raisin and fruit salad, two of Mr. Sherer less favorite concoctions. Yet, even these sound “normal” compared to some that have made the rounds in recent years. So, if you want to get your licks on the wild side, here are a few flavors you can find right here in the good ‘ole USA. • French Toast-with bits of French toast and maple, the breakfast of champions? • Buttered Popcorn – a flavor with butter pecan and caramel popcorn – perfect for movie night. • Strawberry Basil – what compels one to put herbs in ice cream? • Firehouse 31- think Atomic Fireball ice cream. • Creole Cream Cheese- a cream-cheese-like base and a spicy kick. • Coconut Jalapeno – coconut with a big kick. • Licorice – black ice cream, only slightly creepy. • Garlic – only at the Gilroy Garlic Festival in Gilroy, California, wonder if it keeps the vampires away? • Maple Bacon Sundae – you can thank Denny’s for this one. • Breakfast in Bed – a vanilla ice cream base with pasteurized egg yolks, real maple syrup and bacon! Just don’t drip on your pillow. • Lobster Ice Cream from Ben & Bill’s Chocolate Emporium in Bar Harbor, a butter ice cream-based treat with fresh (again buttered) lobster folded into each bite. I wonder if it makes a sound if you boil it? • Pear With Blue Cheese, a well-balanced mix of sweet Oregon Trail Bartlett Pears mixed with crumbles of Rogue Creamery’s Crater Lake Blue Cheese. Seems like everything is a little strange on the West Coast. • “Real” Eskimo ice cream or Akutag as the locals would call it. It is overflowing with enough fresh berries for your sweet tooth; however, its base is actually animal fat (reindeer, caribou, possibly even whale). My guess is that you will have a hard time finding a low calorie version of this one. This entry was posted in Humor on June 18, 2014 by Leonard.